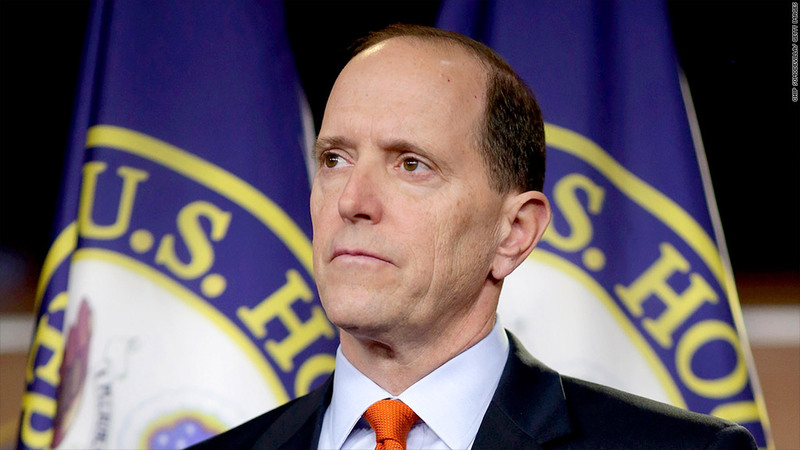 House Ways and Means Chairman Dave Camp's tax reform proposal calls for lowering income tax rates for most Americans and businesses, but also reducing the value of or eliminating entirely key tax breaks, too. Lower tax rates for all, and new tax bites on banks and private equity managers. A simplified code, but pared back tax breaks for individuals and businesses. Those are a few of the highlights of a new tax reform proposal put out Wednesday by Michigan Republican Dave Camp, the outgoing chairman of the House Ways and Means Committee. Here's the thing though: Nobody expects tax reform to happen this year, with mid-term elections in November. House Speaker John Boehner called the plan "the beginning of [a] conversation" lawmakers need to have about tax reform. But Camp's proposal will serve as the first Republican marker for tax reform whenever lawmakers do get around to it, which may not happen until 2017, political observers say. Like any broad tax reform plan, Camp's contains much for members of both parties to embrace and much for them to oppose. And the effects on individuals would vary. But the tax hit to high-, middle- and low- income groups would be about the same under Camp's proposal as it is currently, according to a congressional analysis. Lower rates: Currently there are seven individual income tax rates ranging from 10% to 39.6%. Camp would reduce them to three: 10%, 25% and 35%. The highest bracket would essentially apply to the income that today is subject to the 39.6% bracket -- income over $400,000 for singles and $450,000 for married couples filing jointly. But many tax breaks, such as the one workers get for employer contributions to their health coverage, would only be allowed against income up to the 25% bracket. So their total value would be reduced or even eliminated for very high-income filers. In addition, because of a complex formula that doesn't scream tax simplification, the rich would lose at least some of the benefit of having their first dollars taxed at 10%. Not all high income, however, would be subject to the 35% rate. For instance, income from some types of domestic manufacturing would only be taxed at 25%. Such income may include that from farming and oil drilling. In previews of Camp's plan, it was said the proposal would have just two income tax brackets -- 10% and 25% -- with a 10% surtax added for the highest income filers. Higher standard deduction: The proposal would raise the standard deduction to $11,000 for individuals and $22,000 for couples. The net result would be fewer taxpayers who itemize their deductions, thereby simplifying the tax filing experience. As a result, the vast majority of filers would only have to file a basic IRS 1040A form, according to Camp. But the standard deduction is one of those deductions that would start to phase out for high-income filers. Increased child tax credit: The per-child tax credit would be increased to $1,500 from $1,000 and would be allowed for kids up to the age of 18, versus 17 today. But again the credit would phase out for very high income filers. Reduced mortgage interest deduction: The mortgage interest deduction currently is allowed on mortgages up to $1 million. Under Camp's proposal the cap would be lowered to $500,000. The plan would also place new restrictions on the tax-free gains homeowners enjoy when they sell their home. No more state and local income tax deduction: Taxpayers are allowed today to deduct their state and local income taxes on their federal return. That would no longer be allowed under the proposal. Change in how long-term gains are taxed: Camp would tax 60% of capital gains at ordinary income tax rates and exclude the other 40% from tax. For many people, their bill would work out to be exactly the same as it is now. Consider $100 in capital gains. A person in the 25% bracket in Camp's plan would pay 25% on $60, or $15. That's exactly what he'd pay if he's like most Americans today, who owe a flat 15% on all their gains. But the bill for filers subject to Camp's 35% rate would be slightly higher. Today, they pay a flat 20% rate. So on $100 in gains, they'd owe $20. Under Camp's formula, they would pay 35% of $60, or $21, according to Roberton Williams of the Tax Policy Center. On top of that they would also owe the new 3.8% Medicare tax on investments, which Camp's plan leaves in place. Add a new bank tax: "Too big to fail" financial institutions would pay a quarterly tax of 0.035% on assets in excess of $500 billion, raising more than $86 billion over 10 years. Change how investment managers are taxed: Managers of private equity, including venture capital, funds are often paid "carried interest" as part of their total pay. Carried interest represents a share of profits from investment funds. But the managers currently only have to pay the 20% capital gains tax rate on it, which is lower than the ordinary income tax rate. Under Camp's plan, at least some types of carried interest would be taxed as wage income. "I think we do need to reform the law with regard to carried interest ... particularly when the activity is more like wage income," Camp said Wednesday. --CNN's Lisa Desjardins and Paul Courson contributed to this report.